Celebrating Boys and Girls On Durga Ashtami – Grab a cuppa, tell a story or listen to one. 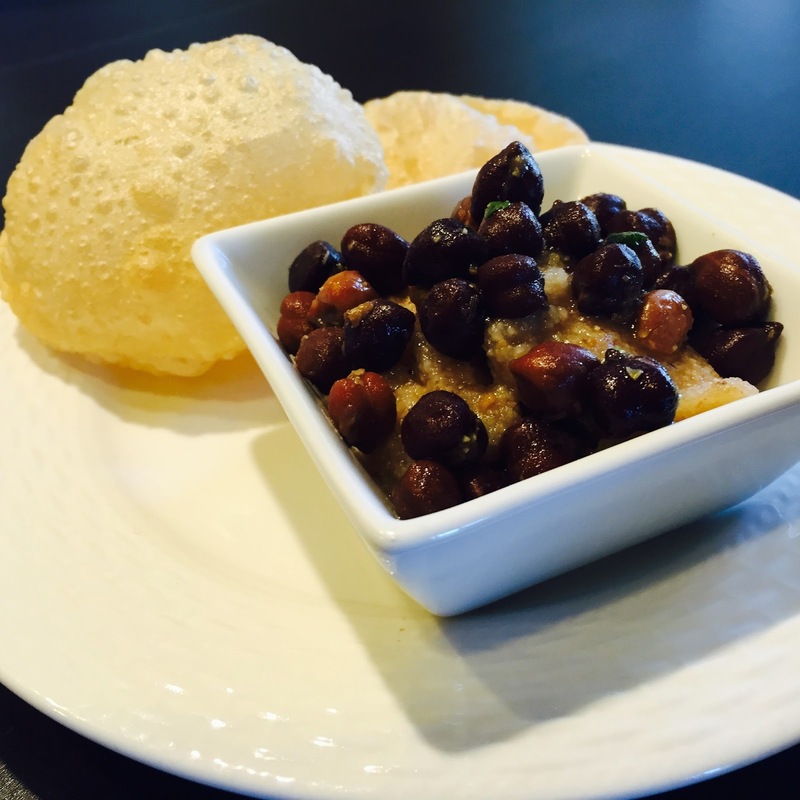 The warmth of the sweet suji halwa (semolina) wrapped in a puri and the savory kala chana (blank chickpeas) is a combination that makes it feel like a party in the mouth. The halwa melts in the mouth and the chana can be binged upon for hours. Durga Ashtami is celebrated in my home every year like in many other homes in India and people of Indian origin across the globe. It is considered to be an auspicious day and in a lot of Indian households, girls are worshipped, thus celebrating the divine feminine power that Durga represents. Little girls are invited over and fed the delectable halwa, chana and puri. When I was a little girl, I was invited to several homes for Kanjak (the name of the ritual, it is called by different names in different parts of India). The purpose of the invite and the celebration was all blurry at that age. All I really looked forward to was that plate of halwa-purithat would be offered. Most girls would save some or carry an extra plate back home for their brothers who anxiously waited for their share. It tasted even more delectable to the brothers perhaps because they were sort of being deprived of the primary celebrations. Few years back, a mother of a little girl by then, I started the customary ritual of Kanjakat my home, just a bit differently. My Dida (grandmother) used to always say when you run a family, make your own rituals and in the years to come that will become a tradition. So I have set a tradition of my own. It felt odd to call the little girls by themselves. So their brothers started getting the invite too and most of them were beyond thrilled. Soon, the invitations were extended to girls and boys, all children in general. Gifts were bought for all. The tika applied to all, the red thread tied to all the tiny little wrists and the Halwa-Puri served to all. That is how much I know about the rituals, learnt by watching my mother and grandmother over the years. That is what I have come to follow. Most years, this auspicious day falling on a week day, I need to wrap their gifts and food and deliver it to their homes. By now it is a ritual the kids wait for. Many people have asked me why I invite the boys over. Many of the kids themselves would giggle and ask me meaning of the day and I would tell them it is a day meant to celebrate all of them. They are all special. They are all divine. They are all powerful. I was in return getting double the share of blessings, love and affection from all of them. I kept continuing this ritual through the years and then my son was born two years back. The modification to the ritual made even more sense in my own home. It was important to me to treat him and his sister the same way on this day like every other day. If I treated one differently, I was treating them unequally. So I make them both sit down on floor cushions next to each other, put a bright red tika on their forehead and give them each their own Kanjak and halwa puri. They are both equal. They are both capable. They are both important. In my opinion, this is a very important thing for them to know. If I celebrate one and not the other, there is an imbalance that I am creating. Gender imbalance always usually begins at home. This breaks the norm and is a non-adherence to the traditional rituals. Yes, it does break the norm but it makes it contemporary as well. Rituals have always evolved through the time and evolved for better. It only makes sense to retrospect on them and improvise them over time, thus adding more meaning. Rituals when left tangled in religious beliefs and stubbornness in its observance are at a risk of being left behind altogether. I also know of many others who opt to feed poor children on this day and they feed all children regardless of their gender because it would be unjust to feed the girls alone while the boys look expectantly with hungry eyes. Is there any harm hidden in this form of change in the ritual? Rituals are a matter of choice and I will leave that decision to you. As for me, yes I tweaked the tradition but I think I see enough happy kids on this day every year and I am very sure both Goddess Durga and my grandmother are smiling upon me from wherever they are. Somewhere in my heart I also know that if my children decide to follow this ritual someday, it will be one that will seem logical to them.